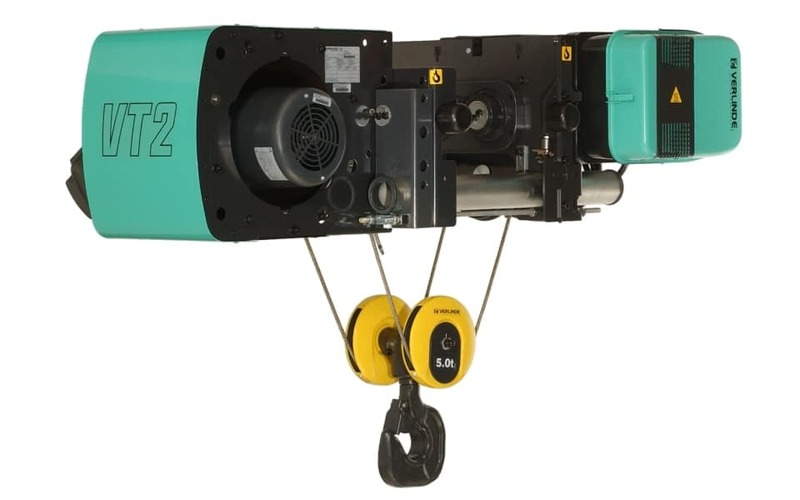 Let's start off with the basics...tell us the key info about your hoist requirement. This section isn't essential, but more info you can give us the faster and more accurately we can provide a quote. 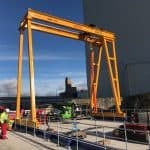 To help us provide the most accurate quote possible please provide a brief description of the application that the hoist is to be used for, including details of what is being lifted, the workplace and the crane or lifting equipment the hoist is to be used with. An impressive Pelloby 5 tonne double girder crane designed to run on our client’s existing gantry steelwork. 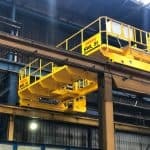 Our client required a lifting solution that wold allow them to lift capacities of up to 15 tonnes. 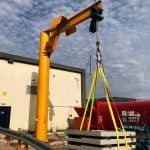 Our solution was a fully bespoke double girder electric travelling portal crane. Somerset bathroom specialists Offsite Solutions needed a way to test lift pods so Pelloby supplied at five tonne jib crane.